Eyeglasses are not only for clearer vision; they show off your individuality and style. At Infocus Eye Care, our Optical Boutique offers hundreds of styles for you to choose from so you can find frames and lenses that are appropriate for your lifestyle. Whether you require sports eyewear, simple reading glasses, or eyeglasses with glare reduction for office work and driving, we can help you customize a lens and frame combination to get you seeing your best. 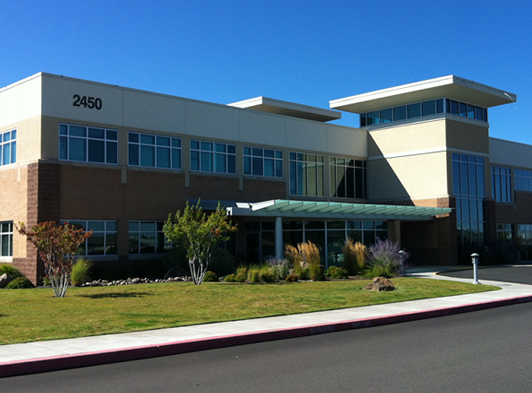 Please call (541) 318-8388 to arrange a consultation at our office in Bend, Oregon. Depending on your vision needs and goals, you have several options when choosing eyeglasses. Single Vision Lenses: This lens style is used to correct vision for a single fixed focus point over the entire lens area. With this style of prescription lens, glasses will have only one purpose. For instance, glasses can be specialized for use while reading, driving, or computer use. Bifocal lenses: Commonly used to create a prescription lens with two separated fields of vision, one for distance, and the other in the lower portion of the lens for close-up work. These corrective areas are divided by a visible line on the lens surface, but do provide the patient with the largest reading zone possible in a multifocal lens. Progressive lenses: Progressive addition lenses are an excellent choice for the patient seeking the most natural vision in a variety of situations. This multifocal prescription lens style has no visible line on the lens surface and provides a smooth transition between distance and near vision. Current advancements in free-form Progressive lens technology allows for the lens to be customized to the individual for general use or even further specialized for computer and office environments. This current generation of progressive lens offers wider fields of vision than ever before. Anti-reflective lenses: Lenses that are treated to eliminate distracting reflections and glare can vastly improve the performance and appearance of your glasses. With an anti-reflection (or AR) treatment more light passes through your lenses and increased comfort is achieved when wearing glasses in all situations. All AR treatments are not alike. Significant improvements have been made in recent years that not only provide superior scratch resistance, but also create a lens surface that stays clean longer and is easier to maintain by repelling dirt, oil, and fingerprints. Look your best, improve your vision, and increase the durability of your new lenses with an anti-reflective treatment. Polarized lenses: Sunglasses featuring polarized lenses offer many improvements over ordinary tinted lenses. Reflected glare from water, snow, car windows, and metallic surfaces are just a few examples of situations where polarized lenses can dramatically reduce annoying glare and eye fatigue. Polarized lenses reduce glare while enhancing color contrast, increasing depth perception, and absorbing 100% of damaging UV rays. Polarized technology is available in a variety of colors in non-prescription and prescription styles including single vision, bifocal and progressive lenses. If you feel that glasses are a hassle when you’re engaged in all of the outdoor activities we enjoy here in Central Oregon or that they simply do not fit your lifestyle, one of our optometric physicians can discuss your options for contact lenses. If you are looking for a permanent vision correction solution, procedures such as LASIK and intraocular lens replacement offer freedom from both glasses and contacts. The Infocus Eye Care team of doctors and professional staff will work with you to find a solution that best fits your needs. If you live in or around Bend, Oregon, please call (541) 318-8388 or contact Infocus Eye Care through the form on this page to learn about all of your eyeglasses options.